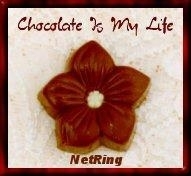 The "Chocolate Is My Life NetRing" was established for websites wholly or partially about Chocolate and by people who are addicted to Chocolate. If you have a webpage about chocolate, join today! If you have more than one, you may add all of them.